Down in deepest, darkest East Anglia, plant hunting can reach a whole new dimension! We have just come back from an expedition to two gorgeous nurseries which certainly hit the spot. Put it this way - it was touch and go whether I had to buy a train ticket to get home, as there was scarcely room for me inside the car! 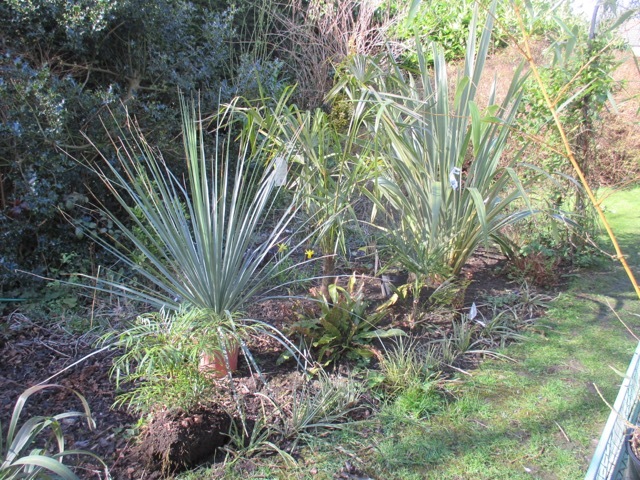 As we are developing the sub tropical part of the garden, and expanding it into an adjacent area, we needed lots and lots of lovely plants to put in. This plant expedition was not a whim, but carefully planned, and budgeted for, and we went armed with a list, albeit a long list! 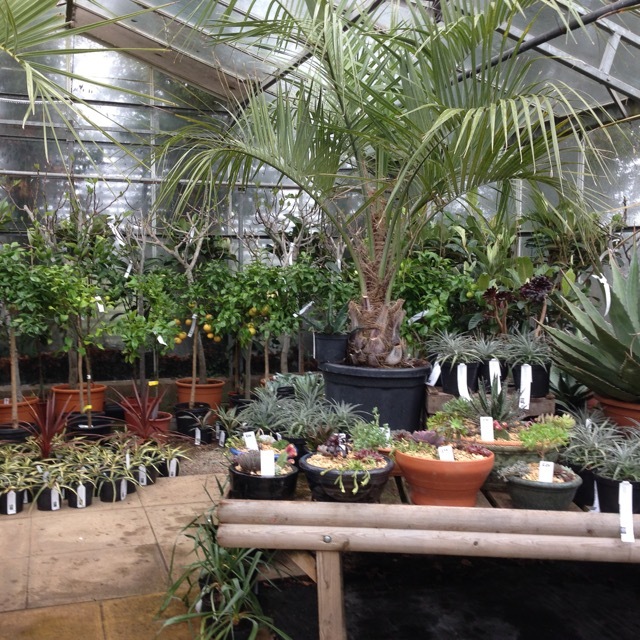 Local nurseries are fantastic but just do not carry the special stuff we were looking for, so, based on recommendation, we organised a visit to both ' Urban Jungle' (Old Costessey, Norwich, Norfolk) and 'Evergreens' (Beccles, Suffolk). These two excellent nurseries are about 40 minutes apart, so easy to do on the same day. 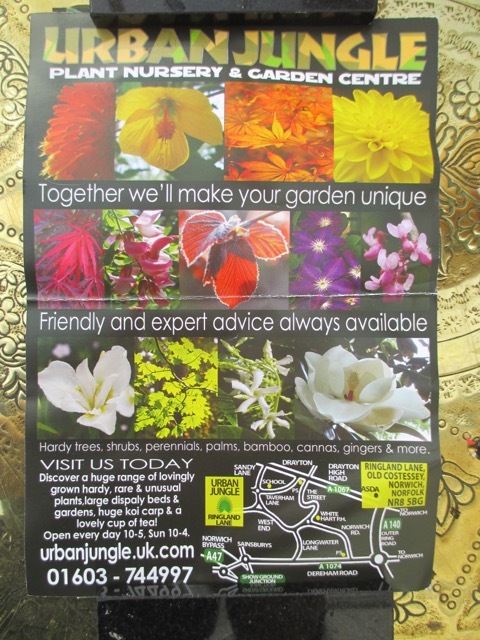 We stayed in beautiful Norwich, next to the cathedral, and visited the nearest nursery first - ' Urban Jungle'. Actually, we couldn't have chosen a worse day to visit as it was cold, grey and pouring with almost torrential rain.The wind was gusting so hard it had knocked down lots of large - leaved plants. It was raining so hard, that, hardy as we are, we could not even visit the outside plant sales area initially. I have no photos of this area, as they would not do it justice. 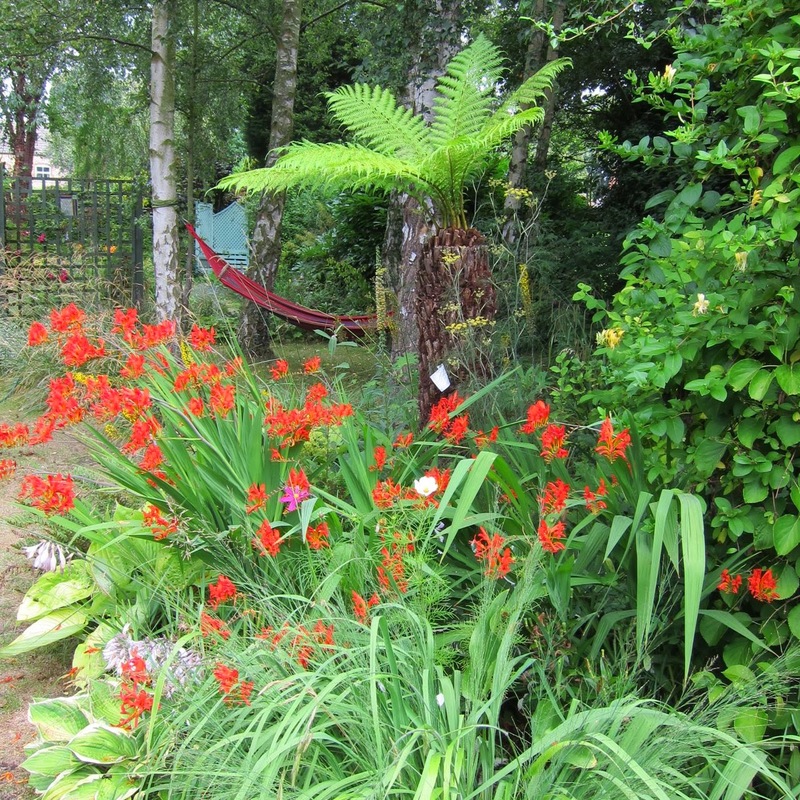 'Urban Jungle' is an intelligent nursery, with very helpful, knowledgeable staff, a fantastic array of plants and a commitment to environmental issues. The layout is interesting and exciting but still manages to be logical, so that things are easy to find. There are welcome sofas amongst the plants, so that the visit becomes more relaxed, and you can take stock amongst the palms! It was so cold when we were there that the sofas did not seem anything like as welcoming as I am sure they would be, on a sunny day, when the glasshouse would be bathed in sunshine. 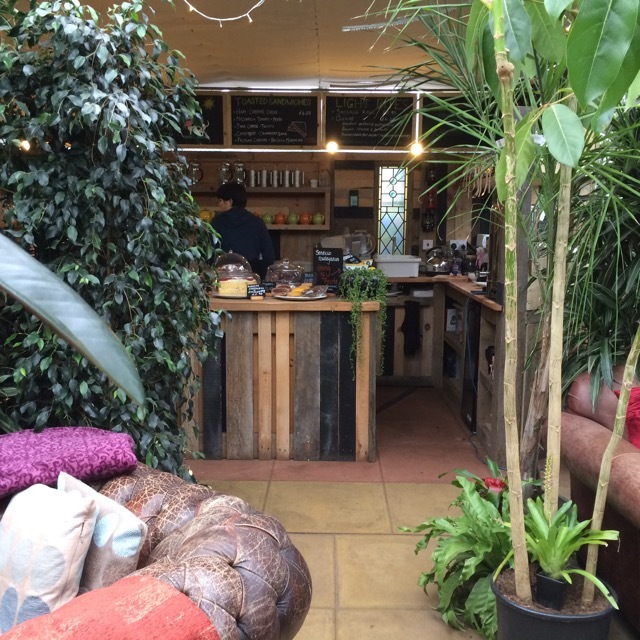 We managed to warm up in the upcycled cafe with warming hot chocolate. 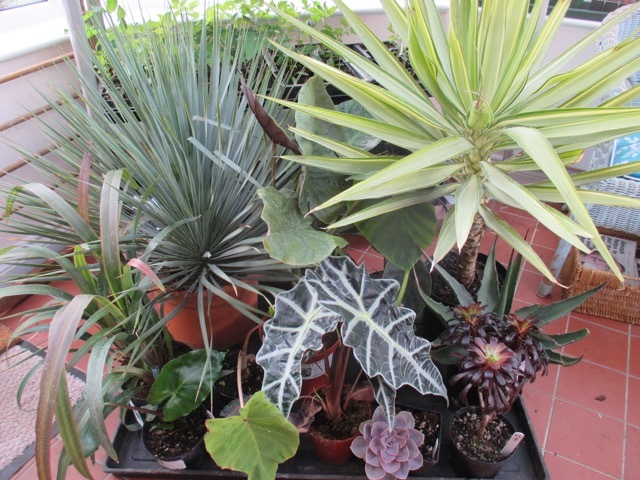 Such is the breadth of plants stocked that we were able to find everything on our list and more. There is a complete stock list on the website, so that you could always check availability before a visit, if necessary. As we were visiting very early in the season, we knew that a lot of plants would be barely in evidence at this stage. A lot of the perennials were just starting into growth, and the cannas and gingers etc were still sleeping. Luckily, we knew what we wanted and so that was no problem, but a visit later in the season would be very different, as the nursery borders would be full of colour, and there would be an even wider choice of plants to buy. We were so impressed by the whole place that we left, vowing to return in late summer, when everything would be at its glorious best. 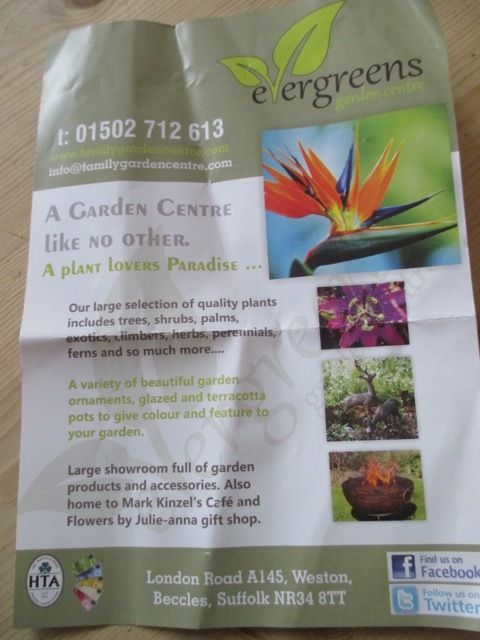 The second nursery which we visited was 'Evergreens' which has a strong online presence, and is clearly trusted and recommended by knowledgeable online groups of exotic plant lovers. We visited later the same day, when the rain had stopped and the day had brightened considerably. The wind was still blowing a gale, however, and, again, it had knocked over many large plants. As they were safer in a prone position, they would not be righted until the wind dropped. Again we were so impressed by the depth of knowledge of the people there. Carl and Nick were friendly and so helpful, sharing a huge amount of knowledge, particularly about hardiness of certain plants, which they had personal knowledge of. 'Evergreens' sells a lot of the plants and sundries which you would expect from any garden centre, but then has a whole other dimension of wonderful exotic plants. They have several tunnels packed with a large variety of choice plants. We had a long wish list of Calocasias and Alocasias, and we came away with every one ... and more. Lovely big chunky plants clearly just itching to start growing away! 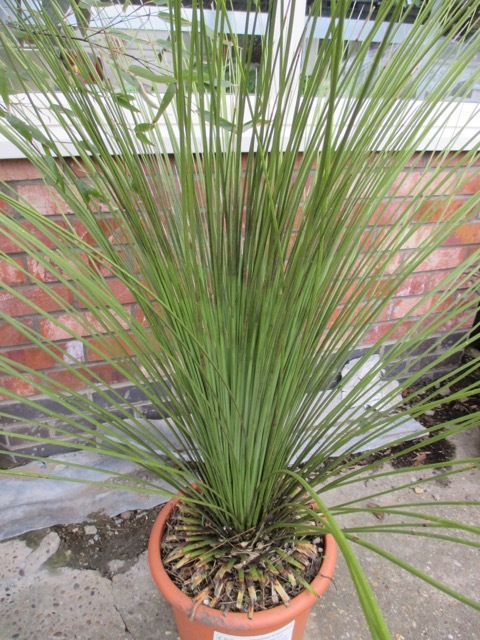 I also got the plant which was top of my personal wish list - 'Dasilirion Longissimum' (pictured below), and I was extremely pleased with the quality of the plant. There was an excellent cafe at Evergreens, and although we only tried coffee and cake, the meals sounded pretty good! As, with 'Urban Jungle', we resolved to return later in the season, to see an even more extensive range of available plants. Above and below are some of the plants we chose. 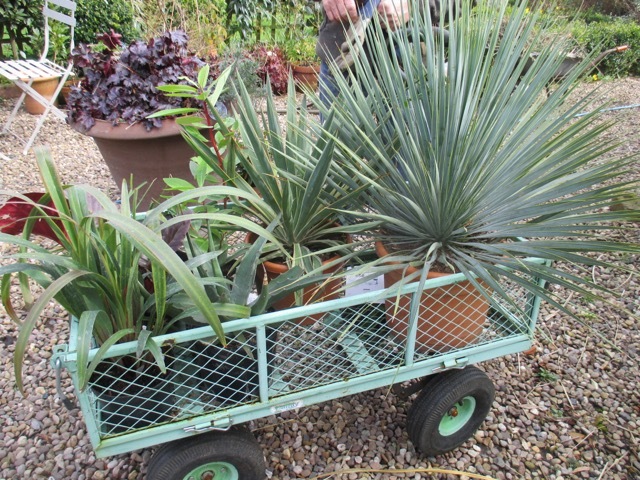 I won't bore you with a complete list, but the main ones were Yucca Rostrata, Dasilirion Longissimum, Agave Montana, Agave Striata, Nolina, Yucca Gloriosa Variegata and Podophyllum Versipelle 'Spotty Dotty'. There is an interesting impulse buy in there, which is the red - stemmed shrub ' Drimys Winteri, which is totally hardy, grows to 6m (!!) and has fragrant ivory coloured flowers. What is not to love about that ? 'The Urban Jungle' has excellent labels ! 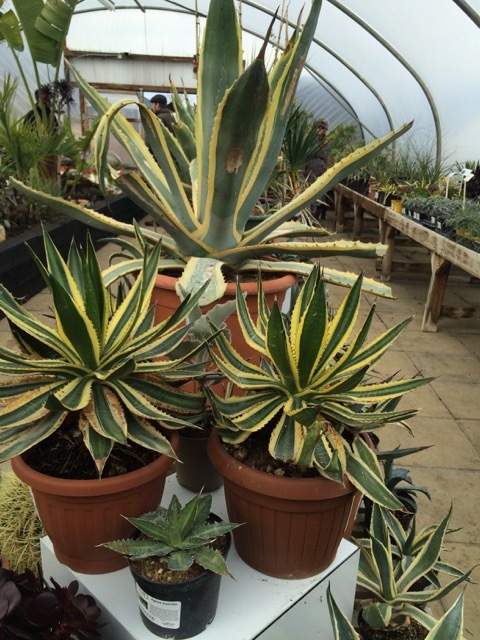 Each plant is colour - coded for hardiness, so you can see at a glance how much protection they need. I guess that answers the most - asked question in Exotic nurseries, in a very straightforward way! I also loved the descriptions of the plants, given on the labels. Podophyllum Versipelle 'Spotty Dotty' (pictured below) was described as having 'something of the toad' about it ! Perfect! I can see just what they mean! So, once home with our precious cargo, we had to set about planting them, but before we did so, we were extremely ( and uncharacteristically) organised, and photographed each plant, plus their care label, so that we had a full record. When we planted each plant, we carefully matched its needs to its planting position and requirements. So now the skeleton is in place, in the new bit of the garden, and, as the season progresses, we will be able to flesh it out, using perennials and annuals. For all our hard work, it still looks very empty, and will do until the perennials already planted put in an appearance, and the annuals we have grown can be planted out. What a fabulous shopping expedition. Your garden looks great even in it's early spring shape. So many of these plants I have seen in conservatories only. They can't be grown in the garden here. It looks so exotic to me. Thank you Lisa. 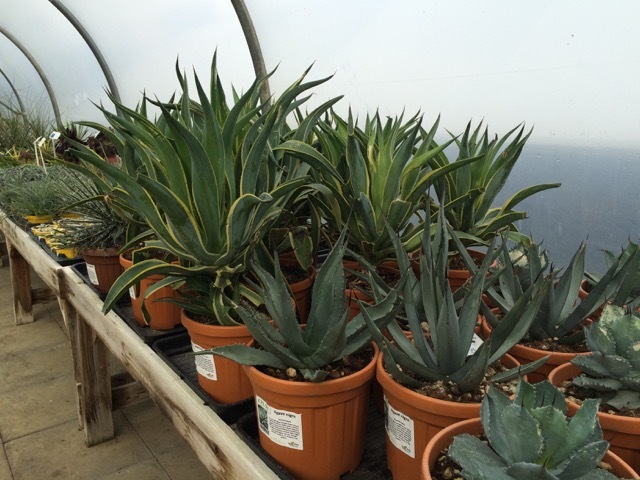 Most of the plants are totally hardy/ frost hardy, although the Calocasias and Alocasias are tender and will need to overwinter in the conservatory. Hope Spring springs very soon in your neck of the woods. 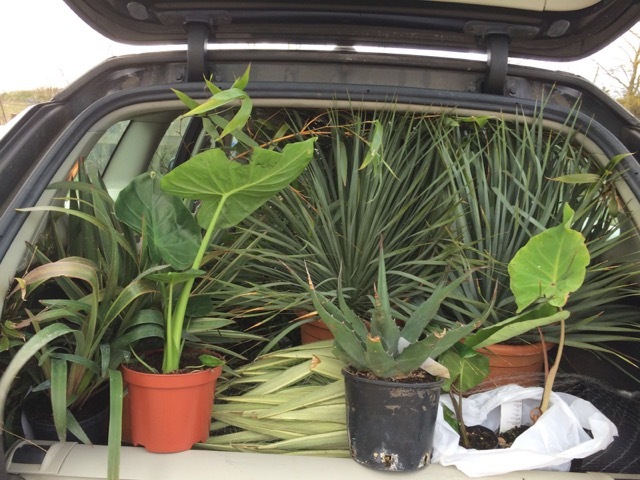 You certainly had a wonderful time and a car full of plants too, what could be better! when your border is fully planted it's going to look wonderful, I will await the photos! Children in a sweet shop comes to mind. Too right Sue, naughty children who should know better, but who egg each other on! Some of those plant tables look strangely familiar ;-) I do like your idea of photographing plant AND label!! And your border seems to be already shaping up quite nicely -- at least to my eyes! Thank you Amy, if I don't photograph labels as well, I just forget the names!! Thank you taking us on your plant hunt. You and hubby are a really great team! It takes a lot of planning to pull off that kind of shopping trip and gardening as soon as you got home! I imagine you were both exhausted together after your expedition. I'm looking forward to seeing the progress in your new sub-tropical paradise. I know it will be amazing!! Too kind! It is my favourite sort of shopping trip! I shall be watching your Dasilirion with keen interest, rather fancy one of those. 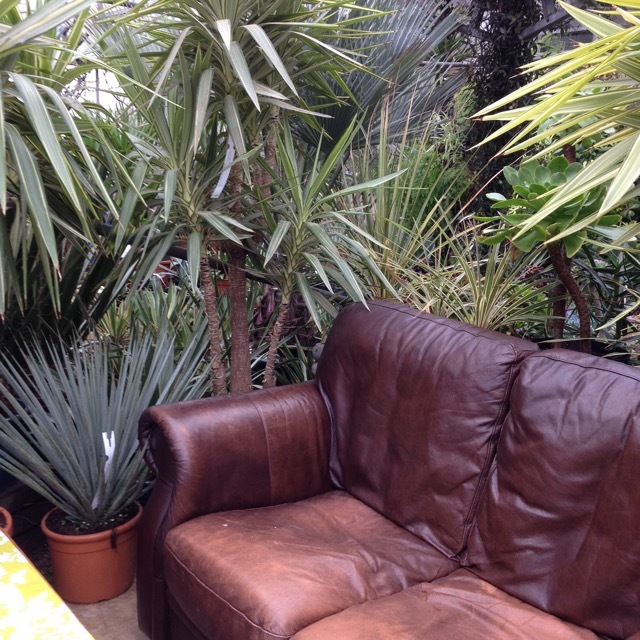 I like the idea of leather sofas in a plant centre too. Somewhere to park the less than keen husband so the wife can run amok with the credit card in peace. 'Sposed to be hardy, which is a real bonus, so what is not to like ? Go for it Jessica ! You must have had a wonderful day. Thank you for taking us along! The new garden looks very promising. Thanks Alain. It was just the best day! Hi thank you for your kind review on evergreens, really glad you enjoyed your adventure and it was really nice meeting you both, hope to see you again soon. Dammit! Sorry about that Nick! I have updated the post and you now have been named correctly. My partner was right all along! Love the photos of the back of the car--those of us who garden, totally get that! Hi Tina, it was very crowded in that car!! What fun nurseries to visit! 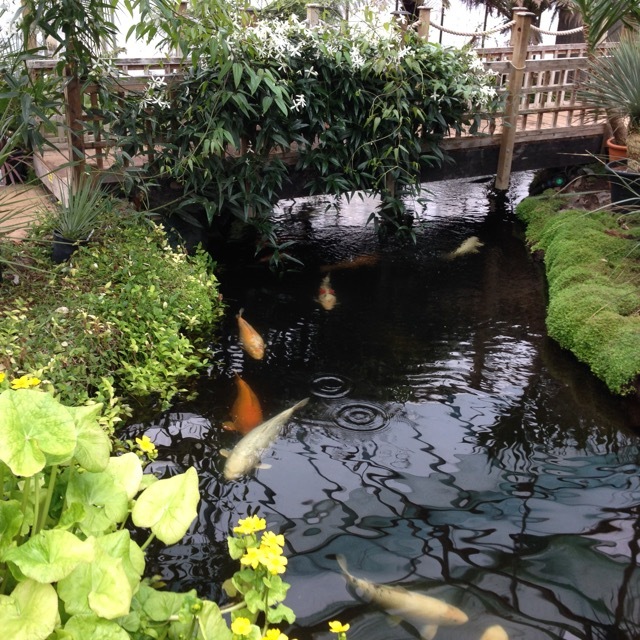 I love the goldfish globe and the pond! So many palms! Sounds like you had a great visit! 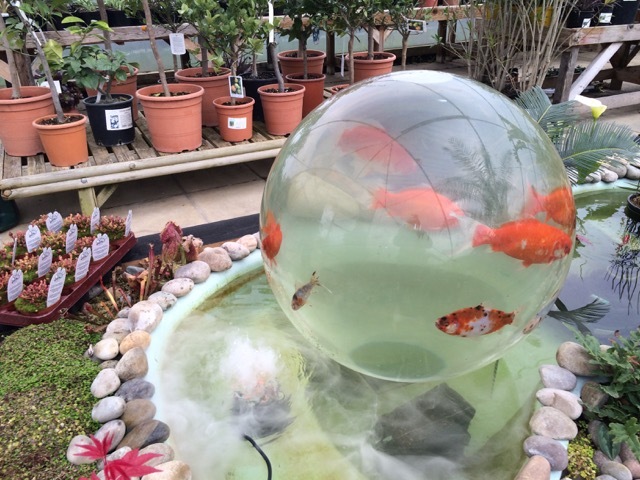 The goldfish globe is such a clever idea and one I have not seen anywhere else. The fish loved it and seemed to prefer being in the globe to swimming in the pond! How wonderful to have such specialist nurseries reasonable close to you. 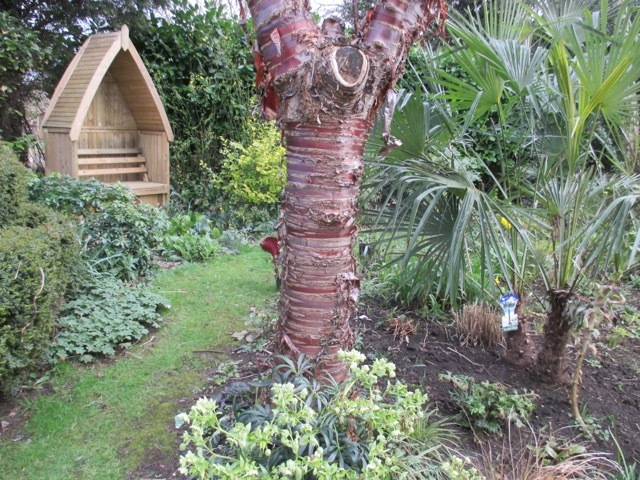 The bed should look great in the summer with so many plants that are unknown to the majority of us gardens. Hi Brian, those two nurseries were a great discovery! I am on a real learning curve about the plants they sell. I live in East Anglia but I have never discovered these nurseries,oh dear I can see I am going to have to pay a visit. What fun you had and what gorgeous plants you bought. There is nothing more exciting than filling your boot with gorgeous plants. I think it is a great idea photographing the plants and their labels. I always think I will remember the names of plants, but of course I don' t.
Hi Chloris - a visit would be most beneficial! I can promise you a bootful of happiness! My goodness-a tour down memory lane for me. I trained as a nurse at the old Norfolk and Norwich hospital-I think the lovely old building has been turned into expensive flats. I went to school in Beccles. Next time I'm over I'll check out both nurseries. Gosh, it really is your old stamping ground ! Lots of memories I'll be bound! What better way to spend a day out. You've brought home some lovely plants that I guess I can only covet from afar. I look forward to seeing the progress in this new area. You've obviously planned well enough. Your post has made we want to go plant shopping in the most desperate way. Spring has been so cold I have yet to buy anything more than a few pansies. 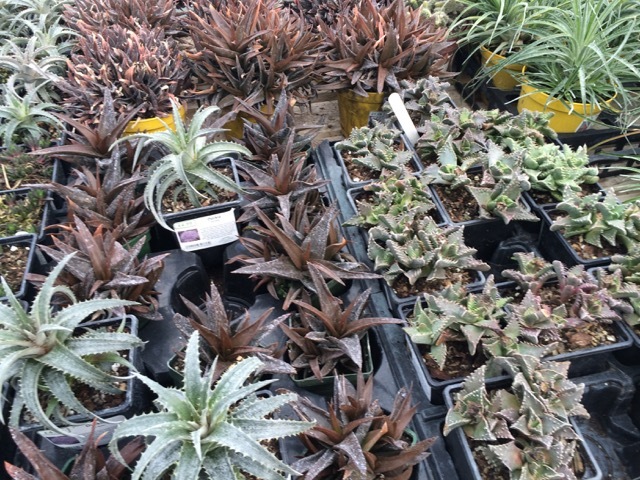 It's fun to come home with a car full of plants even if it means your wallet is empty. Fun nurseries! I can also see what they mean about the toad. Hope you are well and the garden looks great. I have been taking up some of your fantastic tips and knowledge to apply here. Fantastic day out, unfortunately many of these exotics don't float my boat mainly because I can't grow them, may be some jealousy here! 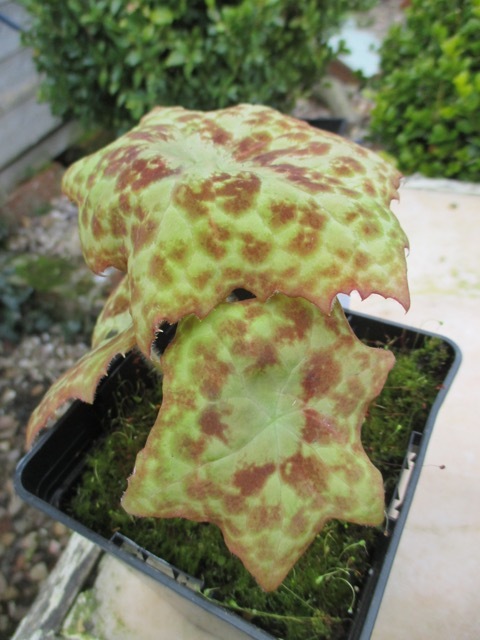 I have Podophyllum hexandrum and although one of the cultivar names is "Spotty Dotty" the basic specie's young leaves are spotty leading to the common name being "Spotty Dotty". Interestingly for all its "exoticness" it is a Himalayan plant.